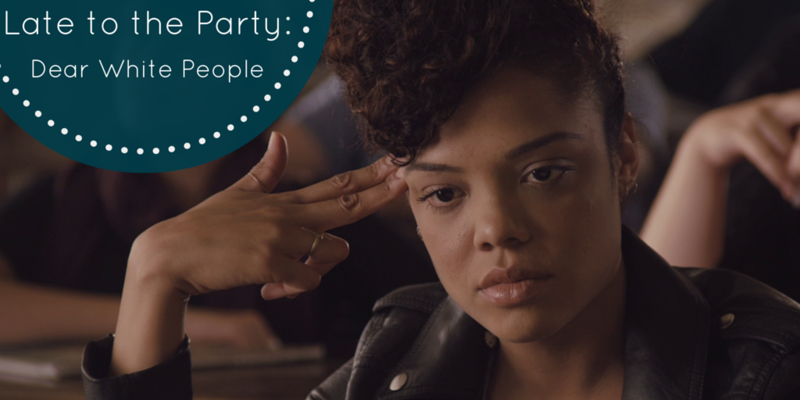 ‘Dear White People’ is a movie that follows the stories of four black students at an Ivy League college where controversy breaks out over a popular but offensive black-face party thrown by white students. I had seen the trailer for it a fair while ago, but it took a long time for the film to actually be released, and then it wasn’t being shown anywhere near me, so I unfortunately never got to see it until just now. Complex characters – The four main characters in ‘Dear White People’ are all very interesting, complex characters. They all have different motivations, interests, and personalities, and it makes me want to know more about the characters’ backstories when I think about them. New faces – One of the things that distracted me about ‘Get on Up’ was that I recognised a number of actors from other films, so I would be taken out of the story to go “oh hey, it’s that guy!” ‘Dear White People‘ definitely doesn’t have that problem; I didn’t recognise any of the actors (other than maybe some of the older ones who have been in more films). Hopefully this means that more actors of colour will be popping up and getting more opportunities. White characters were less complex – They did feel a bit more 2-dimensional, especially when compared to the others in the film. But, at the same time, I don’t necessarily think that is a problem, in that POC have been having to deal with this situation in films for a very long time. I can’t really be annoyed at it when there are still so many movies where POC are just walking stereotypes or are barely even on screen. This film is a slow burn. It starts just after the climax of the film, with news programs reporting on a ‘riot’ at a party in the university, then skips back 5 weeks previously and shows the events leading up to the party, as well as the party itself. It shows the growing tensions between the different parties involved, as well as the Dean and President of the university trying to handle it all. When I first watched it I wanted it to get to the action; why was it taking so long to get to the party? It was the second viewing that made me appreciate it better, and saw how all the pieces of the puzzle fit together. I wasn’t going to watch it a second time before writing this, but I’m glad I did. One thing I liked was that it wasn’t a perfect, happy ending. The jerk white guy in charge of the stupid club that held the party didn’t get properly punished; the black guy who finally stood up to his father (the Dean) ended up stepping back into his role and doing what his father wanted even though he didn’t want to; the President of the university was still bigoted and in a position of power. It didn’t try and make out that one riot at one racist party fixed racism at the university (or in general). It showed that there is still a long, long way to go until there is equality; I sadly don’t think it’s going to happen in my lifetime, but I sincerely hope it does. But at the moment, Blackface is still something that people do often enough, and white people still come out and defend the people who are doing it. Somehow they try and justify it, saying it’s not racist, and disregarding Black people’s opinions on the matter, and not just in the US. The most recent occurrence of this that I’m aware of was when a member of the Australian Basketball team, The Opals, dressed up like Kanye West for a costume party and smeared brown makeup crudely on her face as part of her costume. Her team member (a Black lady) called her out on it publicly, and then was harassed by people jumping to defend the original basketballer. Telling her that it had to be done to do the costume properly. People bent over backwards to tell a Black lady that she was wrong to be offended at this racist costume. In 2015. It makes me sick, and embarrassed to be part of a country that thinks that this is an OK thing to do. So I’m glad that ‘Dear White People’ was made, even though I am not really in a position to make any sort of critiques on how the characters were written. These stories need to be told, even if a lot of people won’t pay attention to them. And the fact that this particular story was done in an engaging way is an added perk. 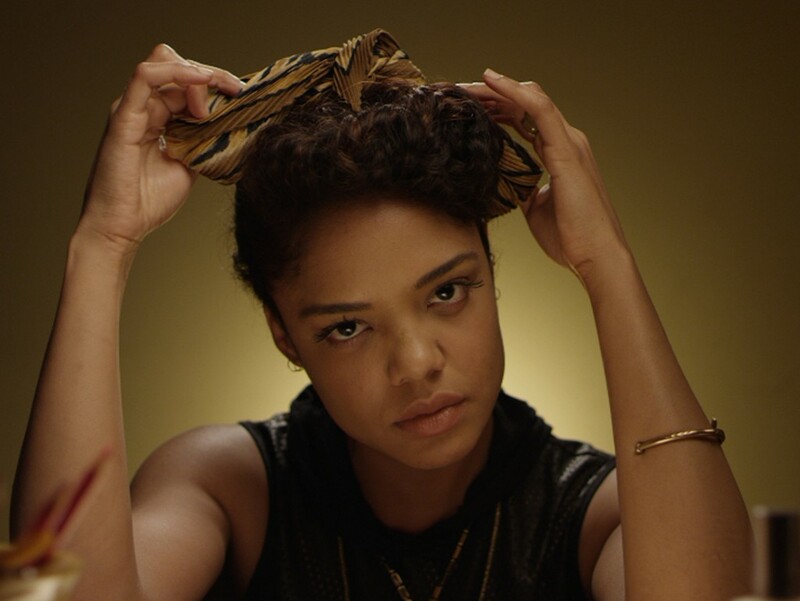 If you have the chance you should watch ‘Dear White People’. Watch it, think about it for a few days, then watch it again. Watch it, and remember that this is happening too often, it’s not funny, and it needs to change.